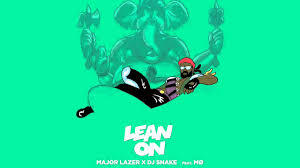 Major Lazer, known for its amazing electric tracks produced a serial hit “Lean On” with vocal inputs from MO. This track gained a lot of momentum after the release of its official music video. This video supposedly has a major Indian connection. This is proved by the the fact that, this Music video has quirky steps choreographed by an Indian (supposedly) The video was shot in the South Indian palaces, few scenes were shot during the groups visit to Bangalore, India. The cover of the song has the Hindu deity, “Lord Ganesha” on it. DJ Snake also rumoured his India tour after the release of this video. The recent addition to this list is a parody video of Indian Bollywood star “Govinda” dancing to the tunes of this group. Govinda who is known for his own signature style of dancing , has been seen parodied with some visuals of his movies syncing with the tunes of “Lean On”.